Rick Egan | The Salt Lake Tribune A bottle of 2007 Perli Vineyard Syrah. 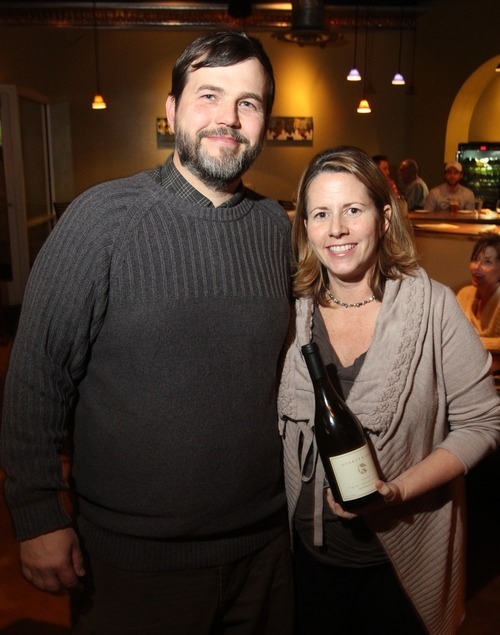 Rick Egan | The Salt Lake Tribune Jared and Tracey Brandt are the owners of Donkey & Goat Winery in Berkeley, Calif. Jared is a native Utahn and East High School graduate and they hosted a wine tasting dinner recently at Wild Grape in Salt Lake City. 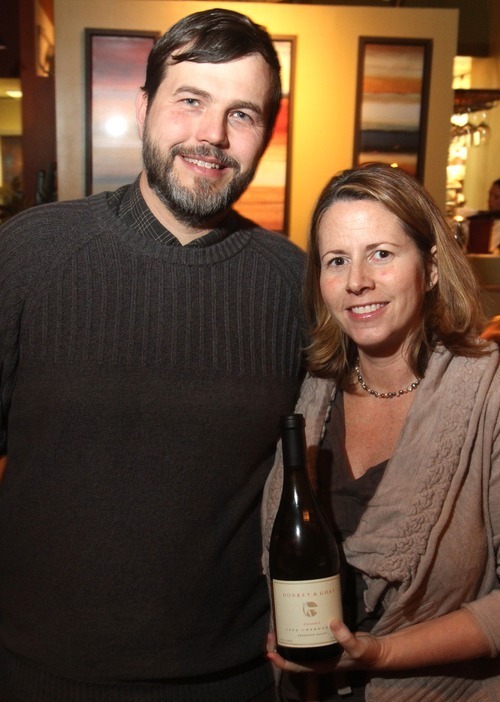 Rick Egan | The Salt Lake Tribune Jared and Tracey Brandt are the owners of Donkey & Goat Winery in Berkeley, Calif. Jared is a native Utahn and East High School graduate and they hosted a wine tasting dinner recently at Wild Grape in Salt Lake City. 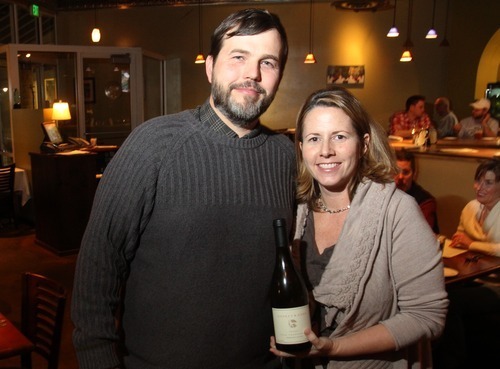 Rick Egan | The Salt Lake Tribune Jared and Tracey Brandt are the owners of Donkey & Goat Winery in Berkeley, Calif. Jared is a native Utahn and East High School graduate and they hosted a wine tasting dinner recently at Wild Grape in Salt Lake City. Jared and Tracey Brandt • Owners of Donkey & Goat winery in Berkeley, Calif. Jared is a 1989 graduate of East High School in Salt Lake City and Tracey is a native of North Carolina. Both left their jobs with Internet start-up companies in the 1990s and went to work at a winery in France's famed Rhône region. That is where they learned the natural farming and green wine-making practices they follow today. The couple was in Salt Lake City recently visiting family and hosting a wine education class and a wine-pairing dinner. 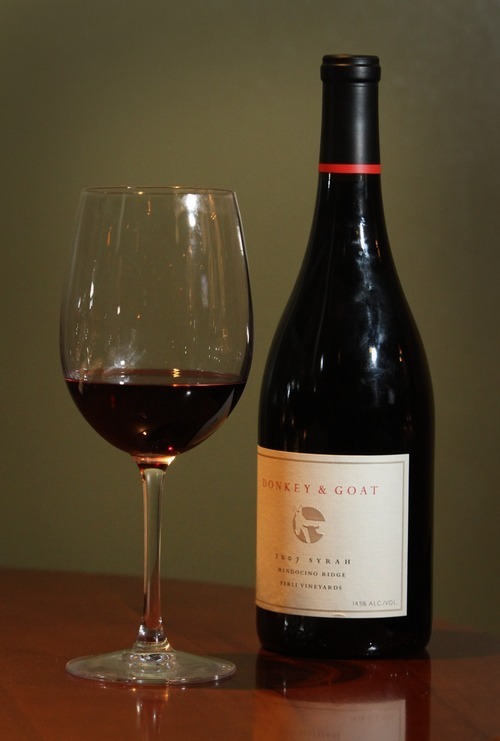 Wines • Donkey & Goat has produced more than a dozen wines from chardonnay to rosé, but its specialty is syrah. Two of the syrahs are available in Utah: 2007 Vielle Vigne Syrah; and the 2007 Perli Vineyard Syrah, Mendocino Ridge. Why produce syrah • Syrah is definitely an under-appreciated wine, but we love it. When it's produced in a northern-Rhône style, it's elegant, nuanced and versatile on the table, complementing an array of cuisine. Talk about the 2007 Perli Syrah • It is the boldest of our Vineyard Designate Syrahs and possibly our best. When you taste it you get hints of bacon fat, white pepper and violets. The grapes are grown in the Mendocino Ridge appellation, which is unique because it is both close to the ocean but at an elevation of 1,200 feet or more above sea level. These ridgetop vineyards benefit from a temperature inversion that allows the fruit to ripen in an otherwise challenging region. Talk about the recognition it has received? • In June of 2010, New York Times columnist, Eric Asimov, listed Donkey & Goat as one of the 10 best California Syrah Producers. The 2007 Perli Vineyard Syrah was the wine he tasted for the comparison. In the article, Asimov paid tribute to producers that are focused on making balanced wines in the spirit of the northern Rhône, which has always been our goal. Best food pairing • Salami, cheese, grilled meats and game. Cost • Perli Vineyard Syrah, $29; and Vielle Vigne Syrah, $27, at Utah state wine stores.